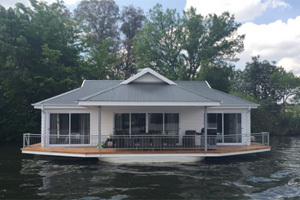 If you are looking for a Vaal River Sunday lunch cruise to enjoy with your family and friends, then the Liquid Lounge is the River cruiser for you! 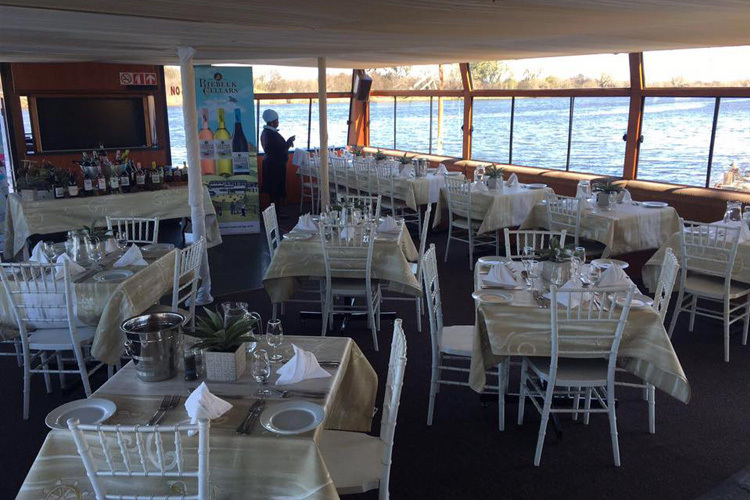 We host regular Sunday lunches aboard our luxurious river cruise boat, ideal if you are looking for a fun day out in the Vaal. Whether you are seeking a venue for a birthday party, or simply want to enjoy a special lunch with your loved-ones, the Liquid Lounge will offer an unforgettable river cruise experience. Sunday Lunch Buffet: We offer an amazing buffet for our guests to enjoy on their Sunday lunch cruise. Each dish is prepared to perfection by our experienced chefs, ensuring our guests’ expectation are exceeded. 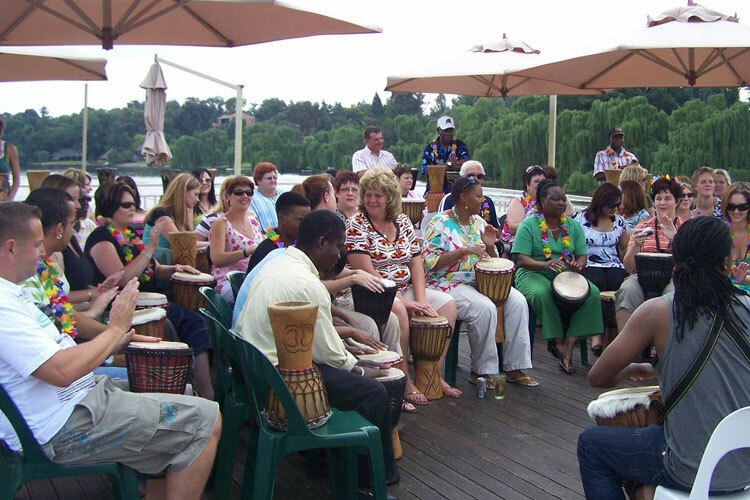 Live Entertainment: Live entertainment is usually included on our Sunday lunch cruises on the Vaal River, serving for a cosy atmosphere and very enjoyable day. Find out what the entertainment entails on the river cruise you would like to book. 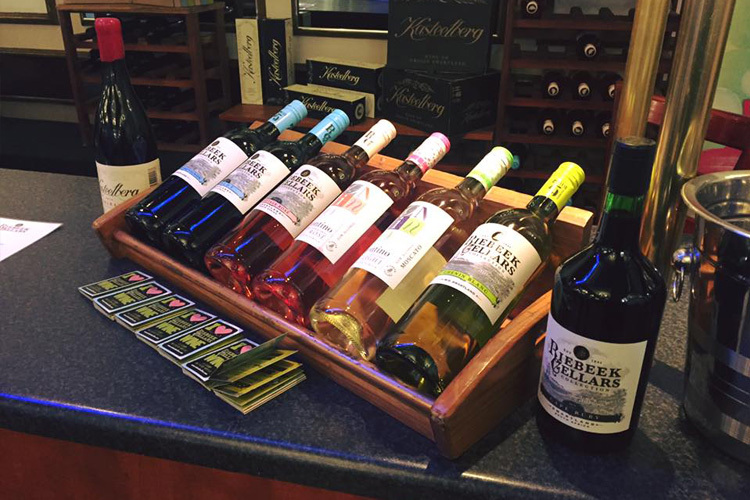 Wine Tasting Cruise: We also offer a number of Vaal River Wine Tasting cruises, a lovely experience for wine-lovers in the Vaal Triangle. We offer a three course meal which will be paired with the wine tasting, presented by a Sommelier. 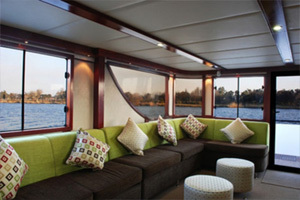 If you would like to book a Vaal River Sunday Lunch Cruise with the Liquid Lounge, contact us today for more information. 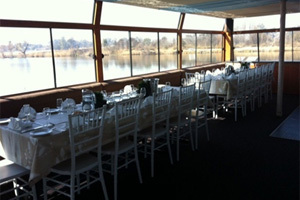 Vaal River Sunday lunch cruiseOur river cruiser is fully equipped with everything you will require to make your cruise enjoyable. 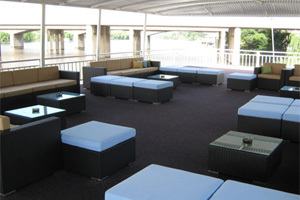 Enjoy a refreshing drink on our upper sun deck, whilst relaxing on our cruise boat. Our professional staff will ensure that you have everything you need. We offer sufficient bathroom facilities, as well as a lower deck for private functions and meals. Should you wish to hire our river cruiser for a party of function, a dance floor and DJ can also be included for an enjoyable function. Book your Vaal River Sunday Lunch Cruise aboard the Liquid Lounge today to ensure you have a spot on our next available cruise date! Our lunch and river cruises are very reasonably priced, making it affordable for families to enjoy a memorable day out on the Vaal River.